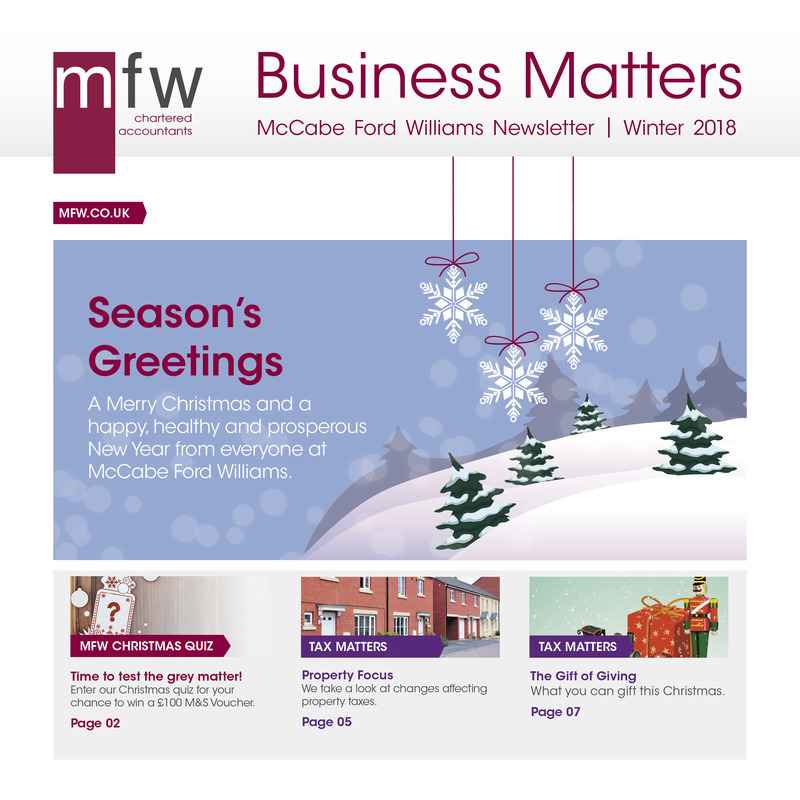 Welcome to the winter 2018 edition of our Business Matters newsletter. Tax Matters: Christmas gifts – are they taxable or not? Spotlight On: Jonathan Fullarton, Partner – MFW Dover. Don’t forget the deadline for completing Self-Assessment tax returns and paying any tax owed is 31st January 2019. For more information about any of the topics covered in this issue please contact your local MFW office.